Think you've got it hard at school? Ha! You could be studying your brains out for China's Gaokao, or the country's notoriously stressful national college entrance exam. 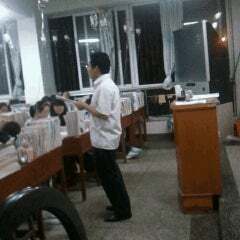 These photos were taken at a high school in Xiaogan City, China. Seniors are getting amino acid drips so they can keep cramming for their college entrance exams, which are held in early June. The Chinese government is apparently giving a 10-yuan amino acid subsidy to each student who takes this year's Gaokao. And this high school, being efficient as possible, went ahead and put the IV drips in the classroom as the kids study. In China (and Japan, for that matter), doctors are more willing to pop a line in people. Feeling feint? Here, have an I.V. In the U.S., doctors prefer that patients get their amino acids through drinking liquids—if they are able to. 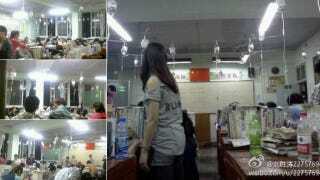 Online in China, people have criticized the school as well as expressed sympathy for the students. Hang in there, kids!